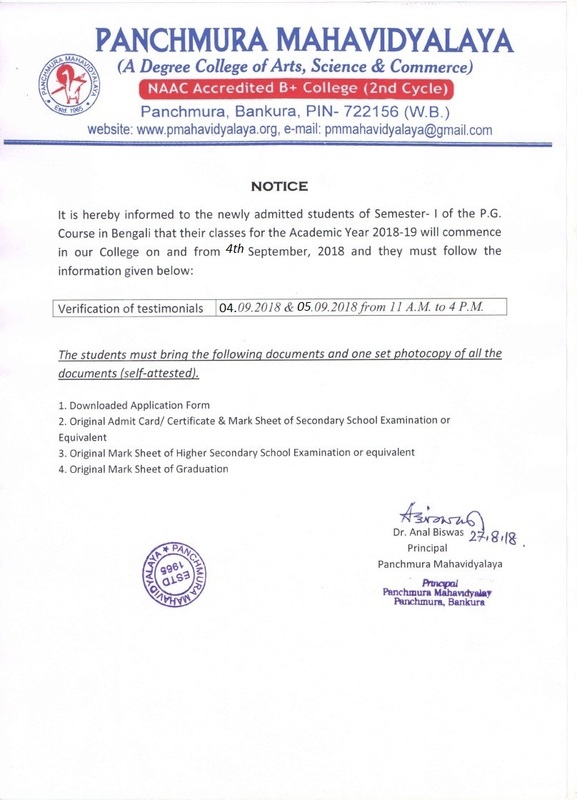 Since its inception in 1965, Panchmura Mahavidyalaya, which began to offer the young learners of this southern part of Bankura few language and social studies Courses, the Department of English remained one of the most acclaimed centers of learning with the founder Principal being himself the erudite scholar of English. The Department expanded in 1984 by providing the students the opportunity to pursue Honours Course in English. The Department strives to guide the students in the profound domain of English literature and culture through regular classroom lectures using interactive, media centre and applying ICT enabled methodologies. The Department believes that learning is a rigorous and continuous journey and the teacher’s task is to inspire the learners to follow knowledge like a blazing star beyond “the utmost bound of human thought”. The zeal to be perfect, the will to break the hurdles of learning the foreign language and the tenacity to shine are some of the values which the students learn and the faculty members help them realize their dreams. The report card of the Department may not be very impressive, but it is inspiring to note that many have come out with flying colours and for us, the sky is the limit.